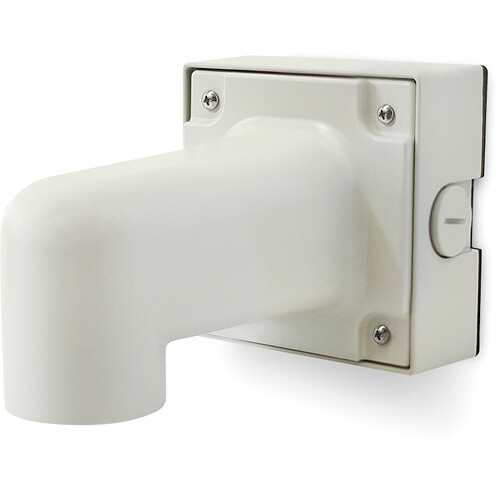 The ivory AV-WMJB Wall Mount Bracket with Junction Box from Arecont Vision is designed to mount Arecont Vision SurroundVideo Omni Series cameras onto a wall. This mount is made of die-cast aluminum for salt and impact-resistance. Box Dimensions (LxWxH) 7.95 x 5.8 x 4.95"